We have had the pleasure to appear in many different featured works spanning across oceans within the luxury wedding industry. "Glimpse inside Kiwi rich lister Neville Crichton's lavish Sydney wedding to Nadi Hasandedic. 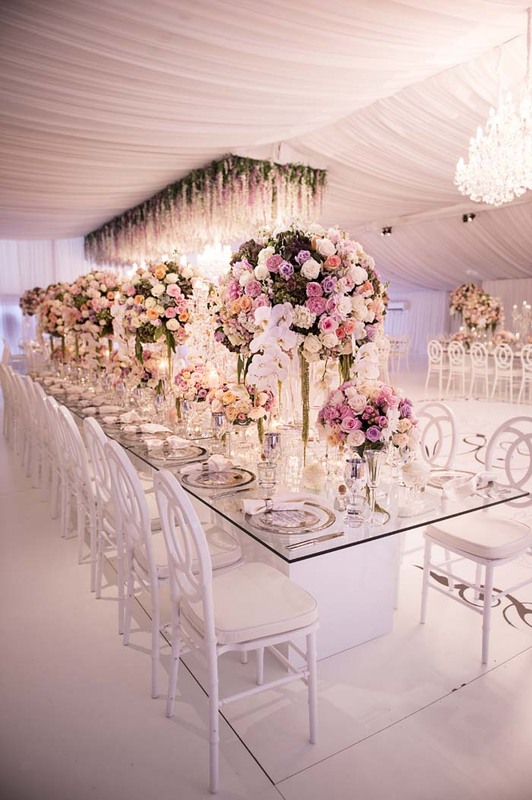 Garlands of flowers cascading from the ceilings, custom-made suede menus and boxes with personalised wax stamps made for each guest - this is the level of opulence you'd expect at Kiwi millionaire Neville Crichton's wedding. Keeping it romantic with gorgeous floral cascading from the piano, Khoury wrote of the metres of flowers flowing down steps and surrounded by candles inside the reception venue." "We couldn’t help but wish we were invited. It was very obvious from the initial meeting that Mark and Andriana wanted a grand lavish and glamorous wedding. The dress and veil left people speechless. The level of detail on it and the fit was perfection. No one could take their eyes off her and she felt a million dollars on the day." "Marli and Peter’s wedding day could best be described as a modern day fairytale fit for a king and queen. 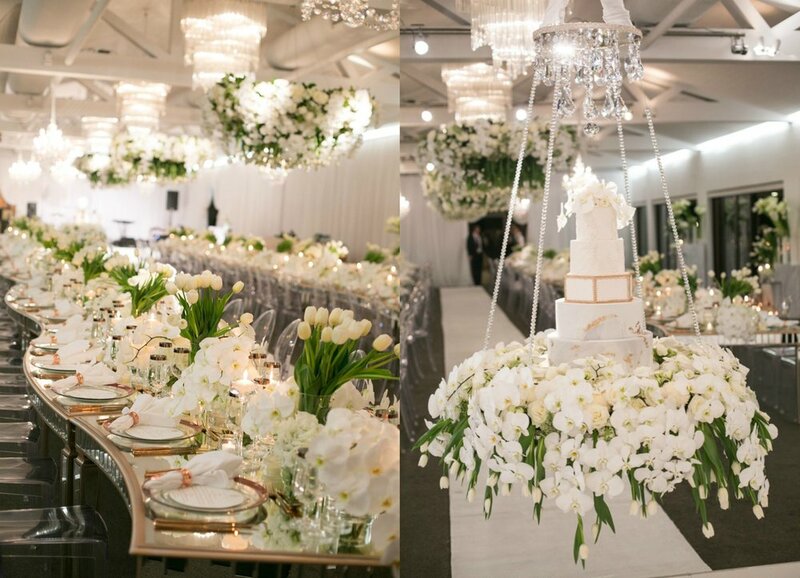 Stylist Diane Khoury created pure magic with her use of chandeliers, fresh blooms and fine, perfected details. The entire celebration was out-of-this-world beautiful; no expense was spared and every single detail was carefully considered. Indeed, Marli and Peter’s wedding was extraordinary." "Elle and Jack’s dream Wedding came to life in the most spectacular way at Sergeants Mess, a breath-taking venue with sparkling ocean views. Their Special Day began with a beautiful ceremony adorned in an abundance of romantic candles, hundreds of fresh white florals and luxe rose gold and marble accents, creating a dreamy space for the couple to say their vows." "Trent and Rebecca’s Special Day began with an intimate church ceremony, followed by an Opera Point Marquee reception, styled to perfection by Diane Khoury. Opera Point Marquee was an ideal location with sentimental value to the couple – iconic views surrounded the marquee which was transformed into a white and gold wonderland with luxurious mirrored king tables, crisp hydrangeas, white roses and orchids all lit up by crystal tealight holders."